My dad is an amazing man and has always supported me. 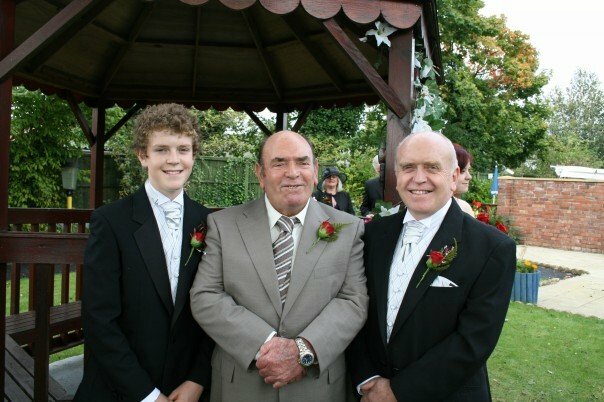 I was born with only one functioning kidney so my dad gave up drinking alcohol in case I ever needed one of his kidneys. He’s one in a zillion. He was a bit puzzled all those years ago when I told him that I was going to try and write a book on Robert Pattinson and send it to publishers. He didn’t really know who Robert Pattinson was and thought I was a little bit crazy but he was so excited a few weeks later when I’d written it and managed to secure a book deal. When the book came out, he would go into supermarkets and book stores to tidy the shelves and make sure my book was displayed properly. I’ve always been a daddy’s girl and every time I make the trip to London to see my agent, meet my editor or go to a press conference my dad always comes. We get the really early train which leaves around half five in the morning but we don’t care. We walk from Euston to Leicester Square and enjoy a cooked breakfast together. If there’s a film premiere that night we watch the fans eagerly waiting outside and see the red carpet being rolled out. We always make the most of the day, we walk everywhere and we’re always shattered by the time we catch our train home. D is also for Dan, my brother. I was seven when he was born and I was so excited to have a brother. He is much more adventurous than me and has travelled to lots of countries over the last few years. He’s home at the minute which is lovely. It’s also for dogs… I love dogs. I have had some wonderful dogs over the years. I have three cats at my house but my mum has five dogs and I walk them most days. If it was down to me, my mum’s dog Dave would live at our house but he doesn’t like cats (and my cats hate dogs) so he can’t. 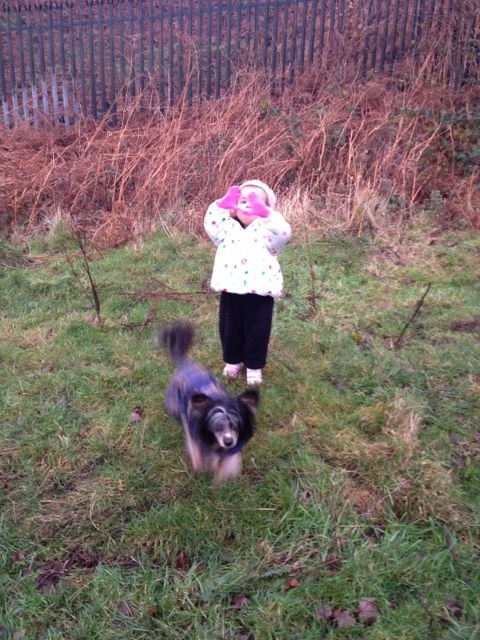 My mum’s dogs are Chinese Crested dogs so I get funny looks when I walk them. They have hair on their heads and feet but apart from that they’re pretty bald. They’re really cute and love curling up on my lap. My daughter absolutely adores them, she’s must take after me as her dad loves cats. I became a Christian when I was eighteen and I can honestly say my life has been transformed. Before I became a Christian I was quite nervous and didn’t have much confidence. There’s no way I’d have been able to stand in front of two hundred children and give a talk, but this is something I can do easily now. My mum took me and my sister to church when we were young and she was a Sunday School teacher. I was confirmed when I was twelve but then a bad thing happened and I decided to ‘make a deal’ with God. I prayed that he had two weeks to fix it or I would stop believing in him. I know now that you can’t force God to do what you want but at the time I thought you could. When it didn’t happen I stopped praying and quickly fell away. I didn’t believe in him and as the years went by I thought anyone who went to church or believed in God was crazy. I didn’t have rebellious teenage years, in fact they were very tame. I used to come home and walk my dog after school and watch my local rugby team play at the weekend. Something was missing but I didn’t know what. I didn’t think about God at all till I was at college and I made friends with a girl called Katie in my English class. Katie was a Christian and went to the Christian Union at college. She invited me to help at a volunteer week in the summer at her church. I said I would but didn’t think any more about it until she rang me a few weeks/months later. I never like letting people down so I went along, reluctantly. The week was called ‘Youthserve’ and it was held in two churches in Huyton. I helped run a club for kids, picked up litter and did some gardening. Every evening there was an event to go to – the ice cream party was my favourite and I can still remember it clearly. I made some amazing friends and by the end of the week I couldn’t imagine having to say goodbye to them. They all went to St Barts for the 6.30pm service every week so I decided to go along too. After the service there was a club called CYFA for teenagers, run by a fantastic couple called Val and Eddie. I can’t remember the exact moment when I prayed to Jesus and invited him into my life, it took many months of attending the church for this to happen. I prayed a lot and God started transforming my life. Becoming a Christian has made me so happy, I constantly have a smile on my face and people often comment on the fact that I’m ‘Smiler.’ Lots of things that worried me in the past didn’t worry me any more. I have been given so many opportunities and gifts that I wouldn’t have had if I hadn’t given my life to Jesus. I have a big heart for people, especially children in the care system. I want to help people who have low self-esteem, we are all made in God’s image and he has a wonderful plan for our lives. 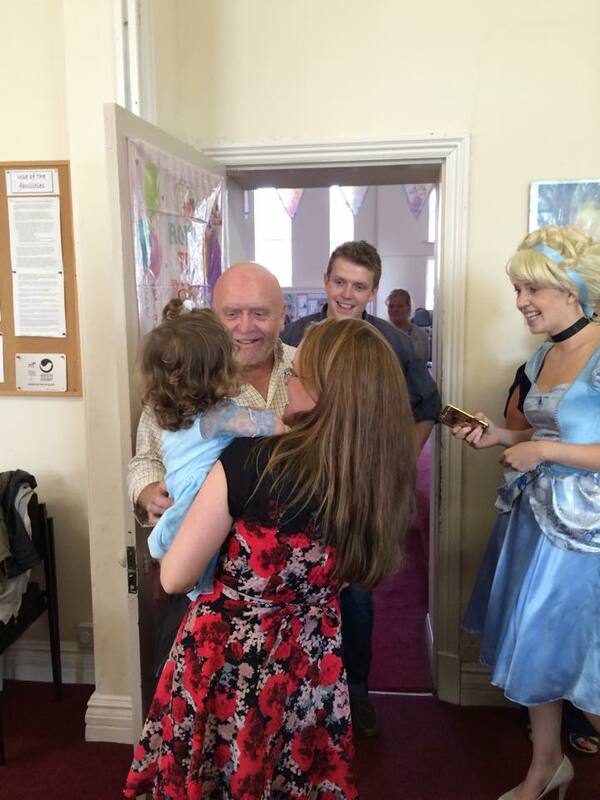 I might write about celebrities but I want children to realise that there is more to life than fame and money. I love giving author talks and teaching my Sunday School class. I could have written much more about my journey to becoming a Christian in this blog post but I didn’t want it to be too long. If you have any questions, please don’t hesitate to contact me. I’ve always been a book worm and I used to sit in the corner of the playground reading when I was six years old. I used to devour books, I would read a whole book in a couple of hours. My mum and dad would send me to bed each night and I’d secretly read, even though there was no light on in my room and I had to rely on the light on the landing. 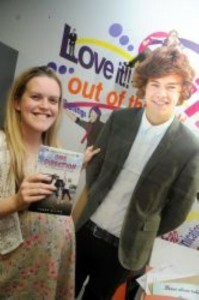 If I heard them walking up the stairs I’d quickly put my book on the floor and pretend to be asleep. Reading in the dark is never a good idea (however good the book is!) and I think I strained my eyes doing it. I ended up needing glasses by the time I was seven. I love how books transport you to new places. I’ve always had an active imagination and I think books have played a big part. When I worked at the library one of my main tasks was to put away the books that had been returned. I used to love walking around with a big pile of books and putting them back in the right place. I quickly learnt where books by different authors went, I could have done it blindfold by the time I left to move to Cornwall to do my Masters degree in 2006. I wasn’t the best library assistant in the world, I often found myself reading the blurbs on the back of books and having a sneaky peak at the first few pages! I might have written over twenty books now but all of them are special to me in different ways. Nothing beats holding the first copy in my hand and I really love seeing my books in book stores and libraries. I love thinking that people all around the world are reading my books. 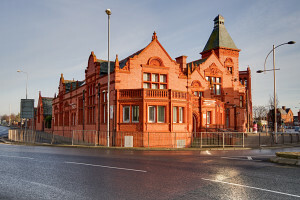 Giving author talks in my local library and running writing workshops for the young people in my borough has been one of the highlights of being a published author. I wrote a Twilight inspired script for a special event with a group of teenagers and it was such a good project. I hope to do another project with them again soon. 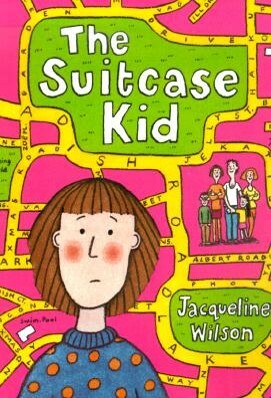 In primary school my favourite authors were Enid Blyton and Jacqueline Wilson. 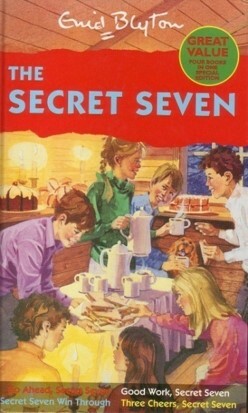 I was a huge fan of the Secret Seven series and used to pretend I had my own Secret Seven in my garden. If my friends wanted to go into my playhouse they had to remember the password. 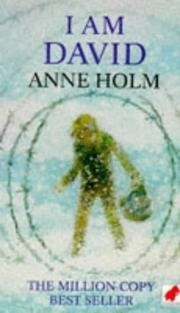 My favourite book was I Am David by Anne Holm. 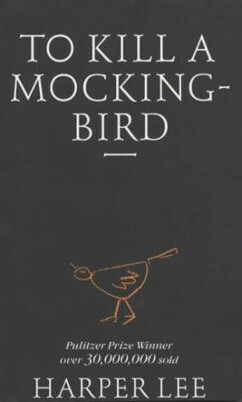 In high school, my favourite books was To Kill A Mocking-bird. Wow, what a book! At college, I started to like girly books that allowed me to escape from my studies. Melissa Nathan is an author that not many people have heard of but I really enjoyed her books. 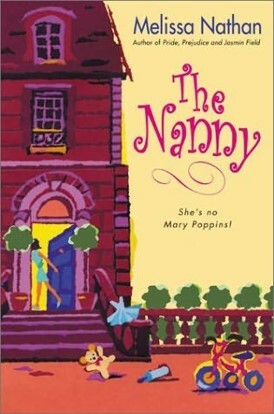 Sadly she passed away but her books The Nanny and The Waitress are great. 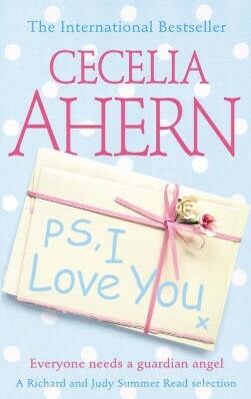 I also liked PS I Love You by Cecelia Ahern (before it became a smash hit and the movie with Gerard Butler came out). 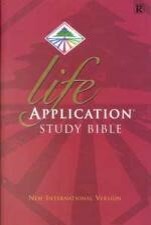 I became a Christian when I was eighteen and since then my favourite book has been the Bible. I try and read it every day. It is the best book in the world, without question. 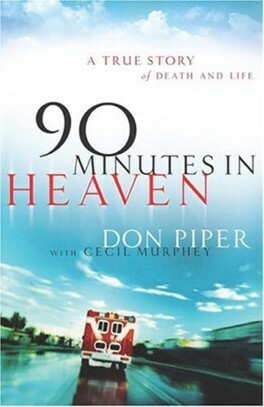 I like reading Christian biographies and I really like 90 Minutes in Heaven by Don Piper. It gives me goose pimples. Lots of the famous people I’ve written about were passionate about acting when they were at high school. Miley Cyrus, Taylor Swift, Zayn Malik and Louis Tomlinson all had the acting bug even though they would all become world-famous pop stars eventually. I loved acting too and would perform at my local theatre as well as in school plays. I haven’t acted for a few years now but I’ll always look back fondly at the time I spent on stage. I really enjoyed playing the role of Abigail Williams in The Crucible and my favourite project involved performing at the Millennium Dome in London. It feels amazing to know that I represented my town by performing ‘Our Town Story’ in a venue that is now the O2 Arena! 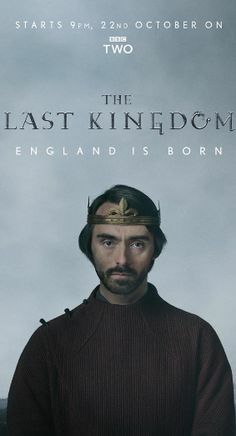 My cousin David is a famous actor and I’m very proud of him. He moved to London when he was eighteen and was determined to become the best actor he could be. 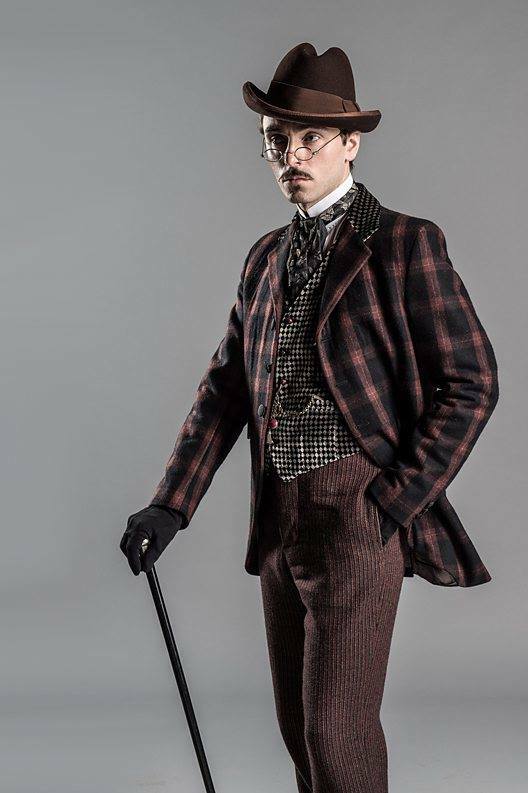 He studied at the prestigious RADA (The Royal Academy of Dramatic Art). 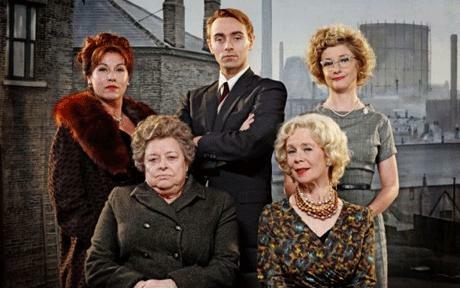 He has been in lots of TV shows and theatre productions. 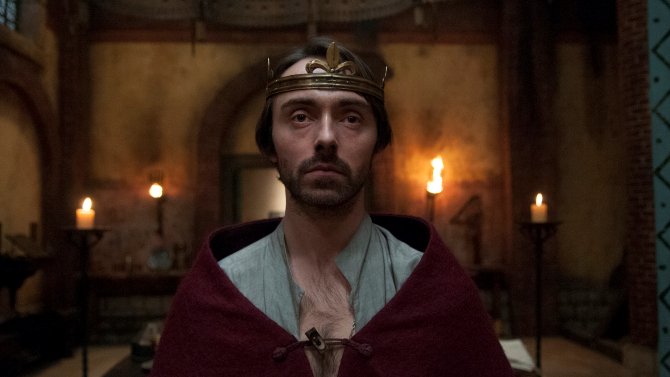 He’s currently playing King Alfred in The Last Kingdom and Fred Best in Ripper Street. I’d love to write a book on him one day… I’d really enjoy interviewing our nan and looking through her photo albums for embarrassing photos! He’s coming home for Christmas and I can’t wait!